The Enugu State Police Command has arrested a single mother identified as Ezechi Nwanneka, who reportedly sold her baby boy for N300,000. The suspect, a native of Akama Oghe village, in the Ezeagu Local Government Area of Enugu State, was said to have been impregnated by an unidentified person. Ezechi who left home to an unknown destination, had reportedly told her family in November 2017 that she welcomed a baby boy. However the suspicion of family members was aroused, when she didn’t show them the baby. The Parents of the lady made a complaint at the Police station, whose operatives’ investigation revealed that the baby had been sold to Nyia for N300,000. It was gathered that one Okechukwu Nyia, who bought the baby from Nwanneka, the mother, reportedly resold him again for N350,000. 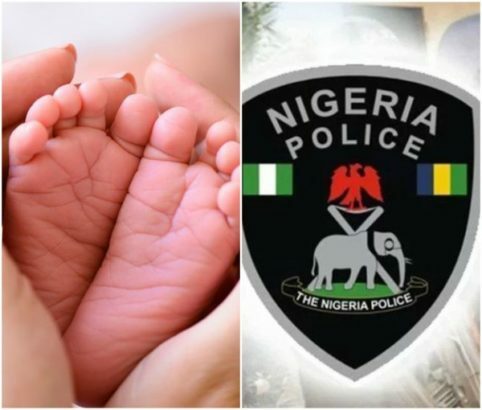 Punch reported that Enugu State Police Command PRO, Mr. Ebere Amaraizu, who confirmed the report said that the Nyia resold the baby to a yet to be identified person. This is coming just after we reported that a 7-month-old baby who was abducted from her parents’ home in Rivers State by a neighhour and sold three times, was found after 114 days later. According to NewTelegraph, Chinwendu’s parents, Emeka and Rejoice Ekiri, alleged that their daughter was abducted by Innocent Ndubuisi, their neighbour. According to them, after abducting the girl, Ndubuisi vanished into thin air, plunging mother and father into unimaginable agony. 0 Response to "Mother Sells Son For N300,000, Buyer Resells For 350,000"